Combining a tried and true classic with creative flair, the Sarah is a breathtaking display of pure pink bliss. 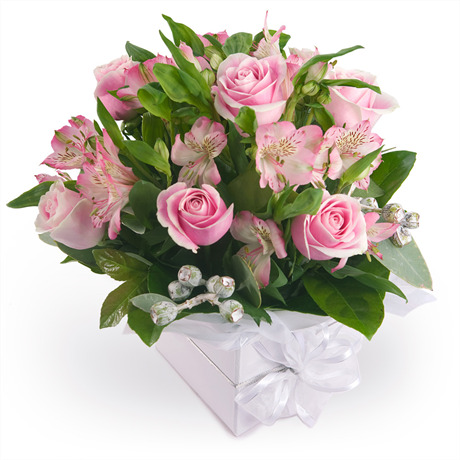 A visually stunning display, pink roses typically symbolise admiration, gratitude, and appreciation. This boutique box boasts six sumptuous roses amid a gentle haze of blush alstromeria and tetragona nuts. Soft, feminine, and refined, the Sarah is ideal for any occasion, or simply as a beautiful addition to a household. Giving the gift of love is as simple as a few clicks, and the Sarah is designed to impress and evoke appreciation. Spoiling someone special has never been easier.